Pompey’s play-off chances were finally ended yesterday after a dismal display at Bury’s Gigg Lane. Kenny Jackett shuffled the pack and as expected Kal Naismith was nowhere to be seen on the teamsheet. It was back to 4-4-2 with Oli Hawkins up front alongside Brett Pitman and Stuart O’Keefe and Connor Ronan in midfield. It was a real end of season affair with Bury playing for pride after being relegated and Pompey having no real hope of making the top six. The only goal came when a Matt Kennedy back pass was lost by Luke McGee and George Miller stepped in to score. Miller however was lucky to be on the pitch after only receiving a yellow card for catching Matt Clarke with a flailing arm. Afterwards, Jackett criticised his side for a lack of energy telling the official website “The goal was a mistake from Luke’s point of view. It’s the wrong pitch to take chances on and that was the key moment in the game. It’s frustrating because we looked in pole position, but could not find the combinations to create clear-cut chances. “We had a lot of the ball and were on top really, getting into Bury’s half pretty quickly, although we didn’t create enough when we got there. Their back four weren’t really tested and I felt that we let them off because we had too many people who looked like they were lacking in energy and form. That means Pompey have now gone five games without a win since beating Wigan and perhaps they will now finish ninth as I had predicted before the season started. It means that Shrewsbury and Rotherham are to be joined by two from Charlton, Scunthorpe and Plymouth in the play-offs. Sky Sports presenter Simon Thomas, whose wife died suddenly of cancer last year, has announced he is leaving his job to focus on his son, Ethan. Simon had been at Sky Sports since 2005 and had risen from News reader to presenting Premier League shows. Simon who previously was a Blue Peter anchor in the past, will be sadly missed and let’s hope that he will be back with us soon. The EFL are asking fans for their opinions on safe standing areas in stadiums. The government are not supportive of the plan and need to be persuaded by fans – if they support it – before changing the law. My opinion is simple large groups of fans already stand throughout the game, particularly away supporters so why not make that safer by having the right infrastructure in place. The plan is for just small areas of grounds to start with and I believe should be given your support. The Posh are at Fratton Park next Saturday at 17:30 to bring down the curtain on the season. It will be the twenty-fourth meeting in all competitions dating back to 1961 when the two sides first met in the FA Cup. That was the first season in the League for Peterborough and they brought a huge following to the Park that day swelling the attendance to over 27,000. The Posh won 2-1 and would meet Pompey in the League the next season as they were promoted and the Blues relegated to the Third Division. 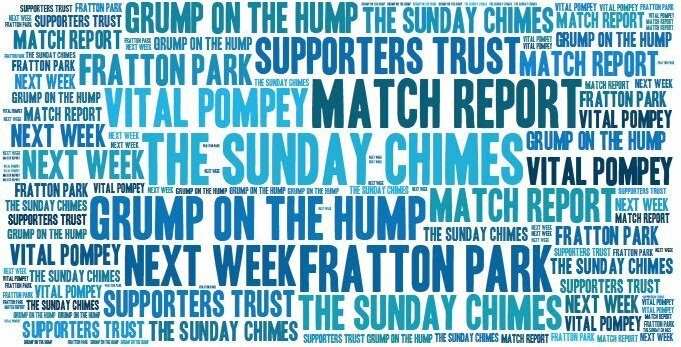 The Fratton game that season was lost 3-0 with Pompey needing to win to guarantee promotion – the game was later involved in a match-fixing scandal! In fact, Pompey had to wait until 1980 for a home win when they had a 4-0 victory with Jeff Hemmerman, Alan Rogers and two own goals earning the points. 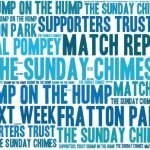 The next Saturday Pompey would win promotion at Northampton with the Posh playing a key role in that elevation beating Bradford City 1-0. The last meeting at home saw Peterborough triumph 3-2 with a last-gasp winner in the Championship. Well done to all at West Leigh Park for reaching the National League after a 3-2 win over Concord yesterday. They edged out Dartford on goal difference. Riley McGree of Newcastle Jets in the A-League provides us with this fantastic entry to And finally… this week. His instinctive scorpion-kick effort is destined to be on this year’s shortlist for FIFA’s Puskás Award. Another really poor performance, why anybody can feel optimistic for next year is beyond me, the team has no desire, will to win or passion about them, all pretty bland much like Jackett who trots out the same old garbage week after week blaming the team and taking no responsibility himself. The player’s don’t seem to know what system Jackett wants to play which is just a mishmash of several systems depending how he feels on a Friday afternoon by the looks of it. You can only say it was criminal the way he went about dismantaling a title winning side, and replaced them with not up to it loan players.Jackett’s judgement on players is appalling much like his man management skills which seem to amount to zero, if you sent him to the shop to buy 1lb of sugar he would come back with 5lb potatoes. Thankfully Cook did’t come back for Clarke or Lowe we would be in trouble, though if they got any sense they will both go this summer before Jackett ruins them by playing them in positions totally alien to them. No way is Jackett a Pompey fc manager much like Pitman is no captain, my money is staying in my pocket next year I will pick what matches to go to I have wasted to much this year watching dross, and with the buget staying much the same and with Jackett spending it! i’m expecting more of the same as this year. Here’s one fan who won’t be falling for the we are building for the future rubbish. Consolidation was the target this season fair enough and that’s good, but it was clear in December thst we had a very good chance of the play offs. Failure to show a bit more ambition in the transfer market especially when Rose was injured suggests the owners aren’t that bothered about progression on the pitch. We can’t spend too much and risk the stability of the club and neither should we, but surely there could have been a bit more money available especially with our home gates. League 1 is a poor standard overall and teams with commitment and passion seem to do well without too much quality. The Eisners were so keen to buy the club but they don’t seem that interested in the actual team. You only have to look at Sunderland to see what happens when American owners lose interest. Villa as well before they got rid of Lerner. Then you’ve got Jackett who just stands motionless while his players go through the motions. Shrewsbury, Blackpool, Gillingham at home are just a few poor performances I recall where he’s done that. I wasn’t at Bury but I bet he was at it again. He offers no inspiration to players or supporters and if Ipswich want him then no problem as far as I’m concerned. It was a great effort to get out of league 2, league 1 isn’t much better a standard and it wouldn’t have taken much more to at least reach the play offs but it feels like the club has stalled and no one’s got the drive to take it any further. Unless there’s a real step up in ambition this summer it will be another season of sloppy half hearted defeats next season and could mean relegation.